The August layout sketches are up at Stick It Down, and here is the sketch for the Double page layout. 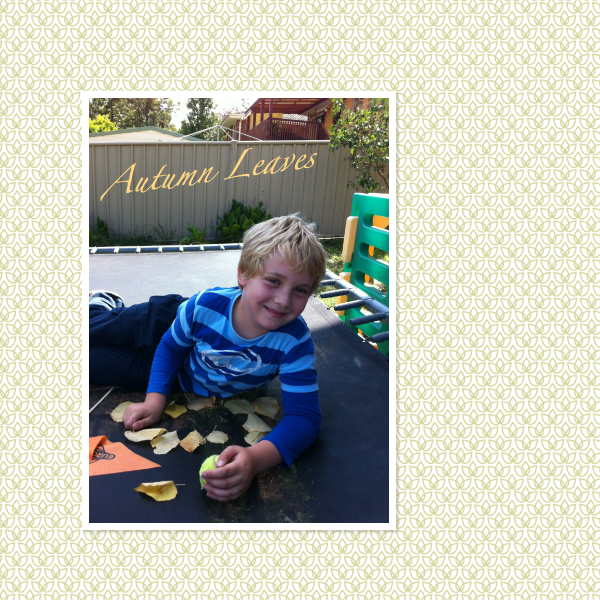 I have used a heap of retired goodies for my page this month, along with photos of my boy when he was just a day old. 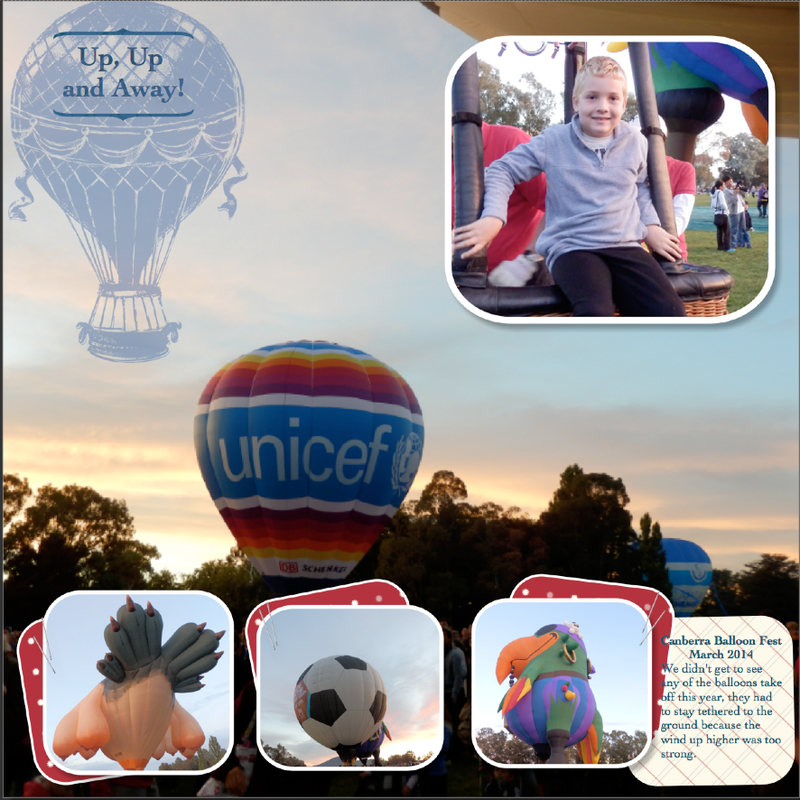 As promised, here are some of the pages I have been putting together using My Digital Studio (MDS). I have certainly been learning a lot as I go! These first two use a photo as a background. 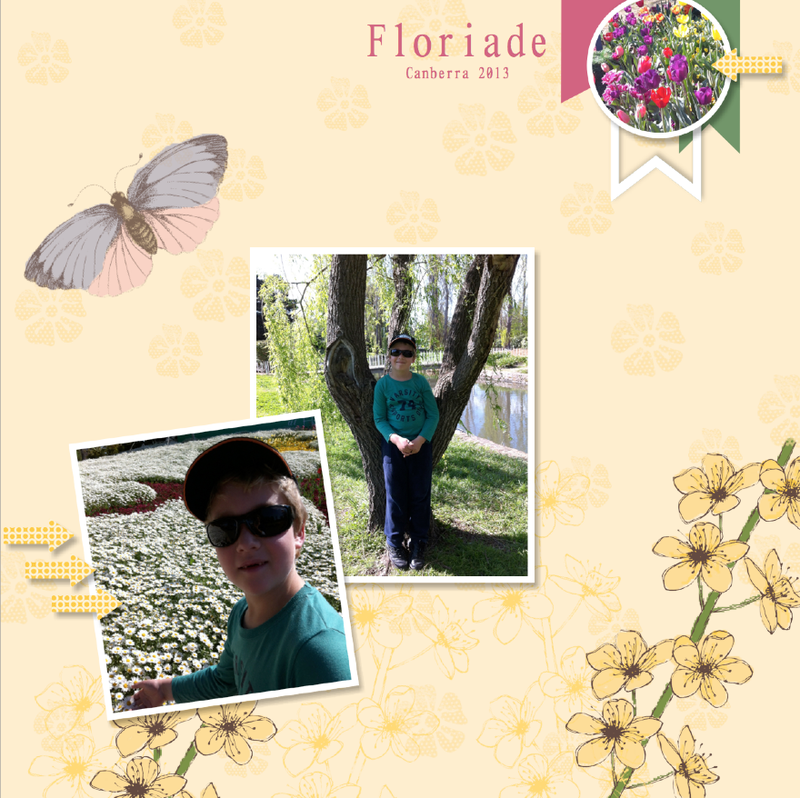 For the third page, I have created my own background paper, then coloured in the flower and butterfly images. If you would like more information about MDS, please feel free to contact me. 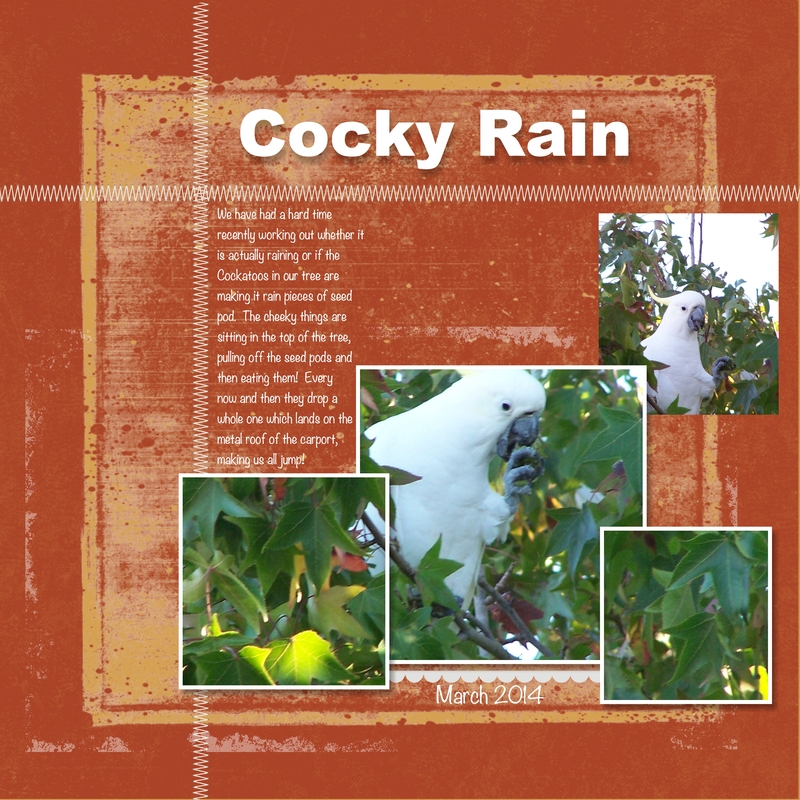 MDS (My Digital Studio) has been a little neglected of recent times, so I put some time aside on this chilly rainy day, to create a digital scrapbook page about the cheeky Cockatoos in our garden. They are enjoying the seed pods on our tree and I managed to get some photos of one of them. 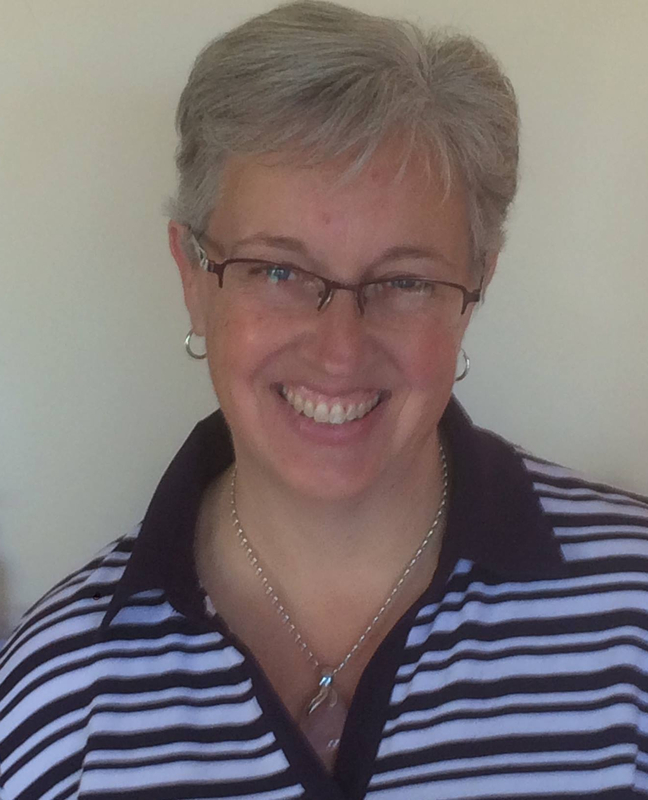 I have enjoyed learning some new techniques, and getting to know the ins and outs of MDS, although I think it will take a while until I feel like I know what I am doing. Stay tuned though, I intend to become an expert! 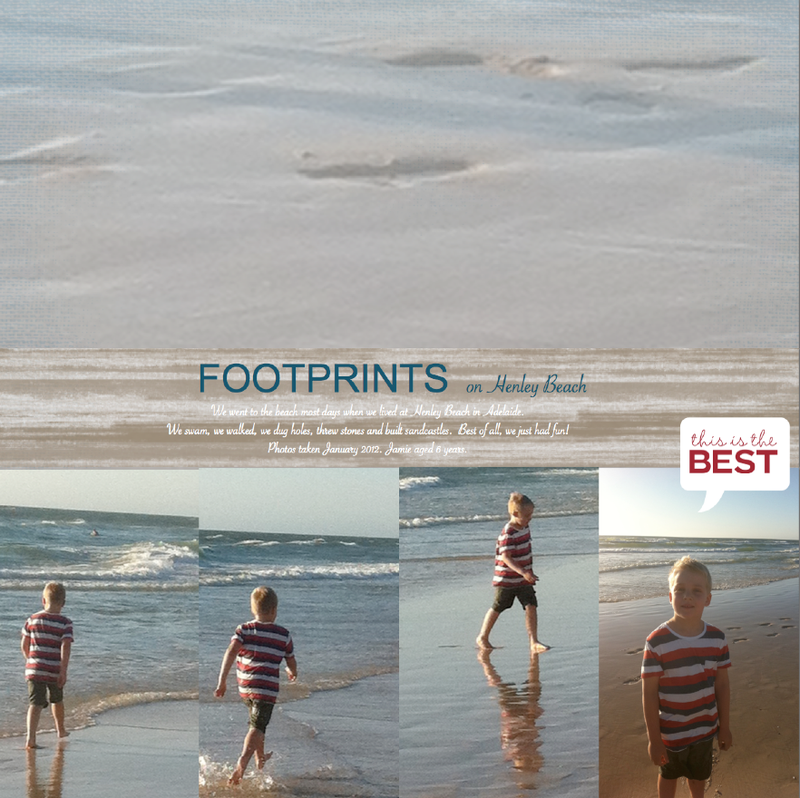 Yes I have been playing with My Digital Studio, and here is my first scrapbook project. I have kept it fairly simple, and just been experimenting with different elements of MDS. In reality, I think these pages have only taken about 30 minutes to complete, even with playing around and figuring out how things work. This program is just fantastic and I can’t wait to learn more about it. I still love being able to create with real cardstock and ink, however I think MDS will become a great way of journalling more of the day to day things that we do in our lives. 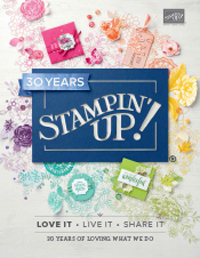 For the next 4 days you can grab the Stampin’ Up! demonstrator starter kit for just $169 and get $294 worth of products! Contact me for more information. Hobby Demonstrators are welcome! 🙂 Make the most of it, and contact me asap. … finally!! Yes, I finally started and completed a scrap page today. In the last two years I have only done one scrap page and even that one I wasn’t particularly happy with. 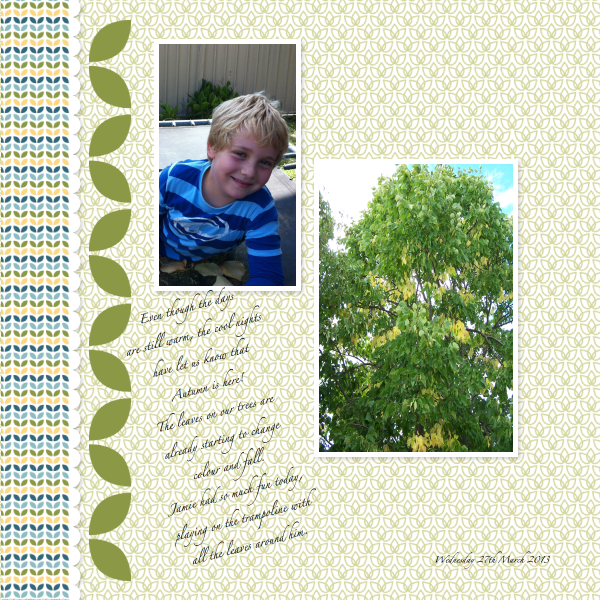 My mojo has been completely lost when it came to scrapping, but today I decided it was time…. yep, time to force myself to make just one page. 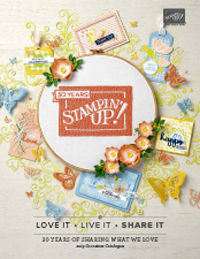 This is the thing I love so much about Stampin’ Up!, everything is so well coordinated that it makes it just so much easier to make something quickly and easily without too much difficulty (unless your mojo is MIA), so once I got into the swing of it, things fell into place pretty easily. What do you think…..? 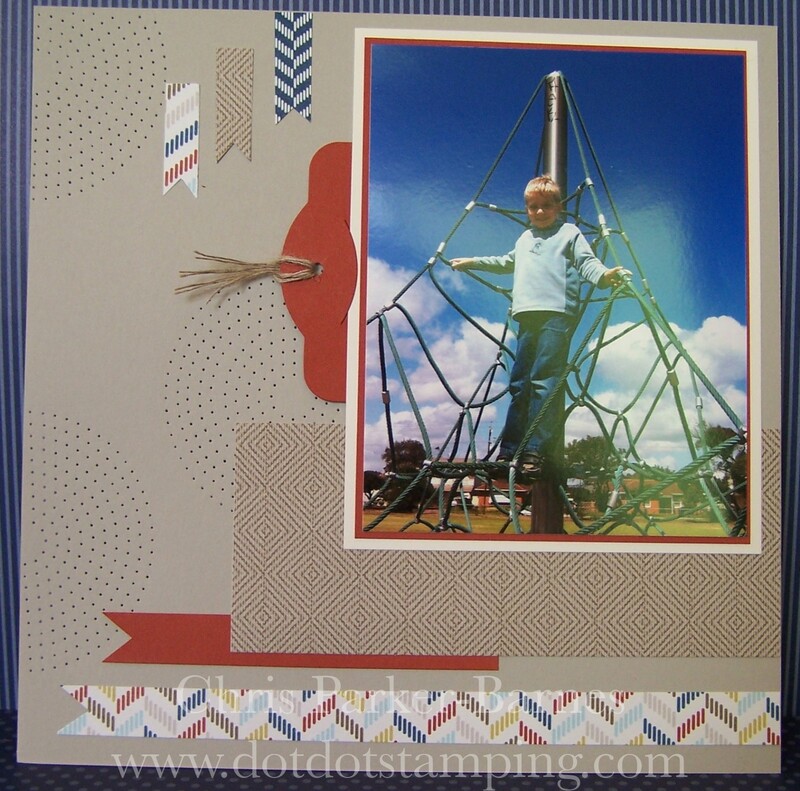 I have used the Comfort Cafe Designer Series Papers for this page, and just matched up the colours for my card stock, except for the base which is Sahara Sand. And keeping in line with my obsession with paper piercing I have used the template to pierce some circles – I like the contrast of the different shapes and geometrical patterns. This page is 8 x 8 inches, and because I have used a smaller size for this page, I didn’t want to have journalling visible, so I have cut a tag using the Two Tags Die, layered some vanilla card stock on top and attached some Linen Thread. And yes, even the journalling is finished! I just wanted to thank all of you for the lovely messages about my mishap on the weekend, my thumb is fine and healing up nicely, although still quite painful. Not painful enough to stop me from stamping though 🙂 Thanks again, I really appreciate your kind thoughts.